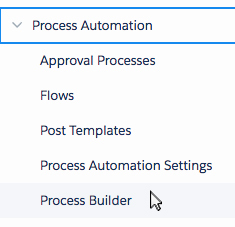 In Propertybase version 1.471 we added the ability to automate emails programmatically with process builder. To demonstrate this feature all accounts created after version 1.471 have a process titled "Welcome Email for New Lead" preinstalled. This process will automatically send a welcome email to new leads once they have been entered into Propertybase. In this article we will walk through activating that process. Note: If your account was created before 11/16/17, refer to this article instead. In order to activate this process, we need to specify the content that we want to send. 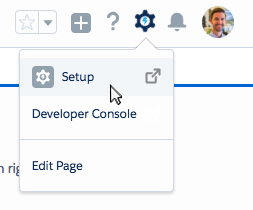 In the setup menu, select Process Builder. 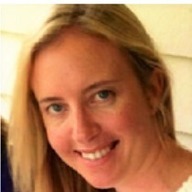 In the list of processes, click Welcome Email for New Lead. Next click Deliver welcome e... under immediate actions. Update the Quicktext and Template ID values under Set Field Values. These IDs should correspond with the email content that you want this process to send. For instructions on how to locate Quicktext and Template IDs, refer to this article. Click Activate in the top right corner of the screen. 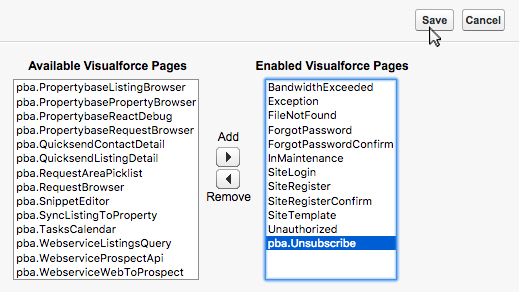 Next we need to register a Force.com domain and configure the Email Scheduler to support unsubscribe. Next we need to register a Force.com domain. Once you've decided what you want that to be - move to the next step. In the available textbox, type your desired domain name. If the domain is available, click Register My Force.com Domain. Note: Once you registered your Force.com domain, you cannot change it. Once you've registered your domain, click New next to Sites. 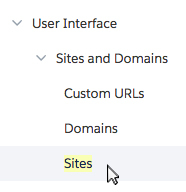 Select Guest User License for Type of New SIte. Using the screenshot below, enter settings for the new site. Note: Don't forget to check "active" - it's easy to miss. Next click Edit next to Site Visualforce Pages. Using the Add button, move pba.Unsubscribe to the Enabled column. The final step before testing our automation is to restart the Email Scheduler. Click the app launcher in the top left of the page and select Control Center. When promted, click Restart Scheduler. Now that our process is active and we've activated the email schedular - it's time to test our new automation. 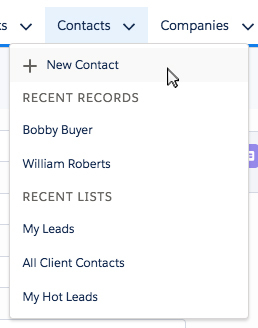 Under the Contacts tab, click New Contact. On the next screen, create a contact using an email address that you have access to. Check the email inbox of the address you set for the new contact. Done! You should have received an automated email via your newly built email trigger.